The level of non-esterified fatty acids (NEFA) and glycerol in serum or plasma is indicative of endogenous or induced adipocyte lipolysis. Fatty acids and glycerol are released by adipocytes in response to lipolytic hormones and enter the bloodstream for utilization by other tissues. However, an excess of circulating fatty acid over energy needs may contribute to hyperlipidemia, which is a risk factor for cardiovascular disease. 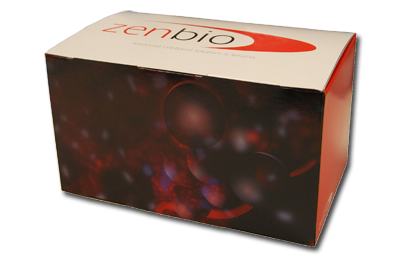 ZenBio offers kits to analyze the levels of NEFA, glycerol, or both in human and animal serum or plasma. The kits are designed for use in a 96-well format. Through a two-step addition process, the level of NEFA can be quantified relative to a standard curve. Glycerol detection is monitored through a one-step addition and colorimetric assessment. Free fatty acid kit used to measure levels of non-esterified free fatty acids in fasting mouse serum (Westcott, et al., 2009). 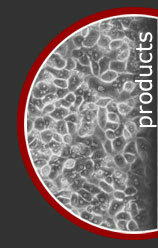 Non-esterified fatty acids kit used to measure NEFA released into media of mature adipocytes after methionine restriction (Perrone, et al., 2008). Journal of Animal Science; Champaign Vol. 96, Iss. 12, (Dec 2018): 5300-5310. Interleukin-15 Receptor alpha (IL15Ra) is a determinant of muscle fuel utilization and its loss protects against obesity. The inhibitory effect of genistein on hepatic steatosis is linked to visceral adipocyte metabolism in mice with diet-induced non-alcoholic fatty liver disease. Mi-Hyun Kim, Kyung-Sun Kang and Yeon-Sook Lee (2010). British Journal of Nutrition, 104, pp 1333-1342 doi:10.1017/S0007114510002266. MGL1 promotes adipose tissue inflammation and insulin resistance by regulating 7/4hi monocytes in obesity. Westcott, D. J., Delproposto, J. B., Geletka, L. M., Wang, T., Singer, K., Saltiel, A. R., et al. 2009. J Exp Med; 206: 3143-3156. Methionine restriction effects on 11 -HSD1 activity and lipogenic/lipolytic balance in F344 rat adipose tissue. Perrone, Carmen E, Mattocks, Dwight A L, Hristopoulos, George, Plummer, Jason D, Krajcik, Rozlyn A, & Orentreich, Norman 2008. Journal of lipid research; 49: 12-23. - Genes & nutrition, 2015. Livers with Constitutive mTORC1 Activity Resist Steatosis Independent of Feedback Suppression of Akt. Cellntec launches new product formulations!